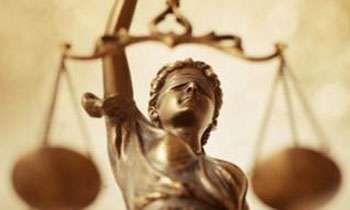 The High Court Judges Association which convened a Extra Annual General Meeting on Saturday has decided to inform President Maithripala Sirisena and Prime Minister Ranil Wickremesinghe about injustice caused to career judges when appointing Appeal Court judges. The Association is to request for an appointment to meet the President this week to discuss their grievances. The Association which convened an Extra AGM at the Colombo High Court on Saturday unanimously decided to express their concerns on the injustices caused to the senior High Court judges by appointing Appeal Court judges from outside. The High Court judges are also hoping to complain to the Constitutional Council on this matter. Recently, the Chief Justice recommended the names of three High Court judges to two vacancies at the Appeal Court. The normal procedure with regard to appointing Appeal Court judges is that the Chief Justice recommends from among the senior most senior HC judges. But this procedure had been changed. At the recent appointment of an Appeal Court judge, the CJ had nominated three High court judges for the posts of two Appeal Court judges. However only one name had been accepted by the Constitutional Council and disregarded the other two names and selected an officer from outside the judiciary. The High Court judges have said there are four career judges in the Court of Appeal and two career judges in the Supreme Court and that if this trend continues the system will collapse. The High Court judges have also said the Constitutional Council is continuing to appoint Appeal Court judges from the Official Bar without considering the career judges. The Association had earlier met the President and some members of the Constitutional Council to discuss this matter but as their grievances were not considered the High Court judges are going to meet the President and the other members of the CC once again. “Before taking any action on this matter we want to meet the President and the members of the CC once again,” a High Court judge said.